Reports out of Los Angeles suggest that Axl Rose may be close to losing his $20 million lawsuit against Activision. 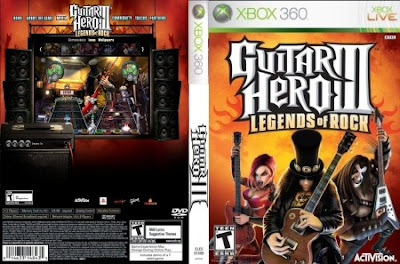 According to Billboard.biz, at a summary judgment hearing Thursday, L.A. Superior Court Judge Charles Palmer reportedly indicated that he is inclined to dismiss Rose's suit against Activision Blizzard for fraudulently inducing him into authorizing "Welcome to the Jungle" for use in the popular video game Guitar Hero III. At the conclusion of the hearing, according to an attorney involved in the case, the judge took the matter under submission. The singer's lawsuit wasn't filed until late November 2010, more than three years after the game’s October 2007 release. Rose has had difficulty claiming that he didn't discover the problem at an early stage. According to documents filed in the case, Rose's agent sent Activision an email objecting around the time the game came out. "The reason I did not file a lawsuit is because Activision - through my managers and representatives - offered me a separate video game and other business proposals worth millions of dollars to resolve and settle my claims relating to 'GHIII,'" he said in a deposition. "From December 2007 through November 2010, Activision was offering me a Guns N' Roses-dedicated video game, a game dedicated to music from the 'Chinese Democracy' album, and other proposals." Read more at Billboard.biz here.